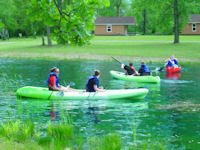 Wesleyan Woods Camp offers two and four hour trips for families and groups. Come enjoy the wildlife, spring flowers, fall colors and fishing as you travel the Cass River by canoe or kayak. We have Mad River canoes and Tribe Kayaks by Confluence. The Tribe kayaks are two person top seated units. BOATING CAN BE DANGEROUS, YOU MUST SUPERVISE MINORS AT ALL TIMES. 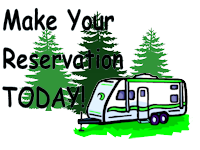 Transportation included for drop off (end at camp). No Price breaks for providing your own transportation. Waivers must be signed before the trip. NO REFUND DUE TO WEATHER OR RIVER WATER LEVEL CONDITIONS. Not more than 30 minutes late for departure. All life jackets, paddles, and canoes/tubes/kayaks returned undamaged. 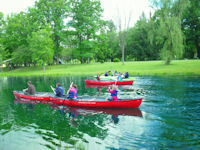 To reserve an enjoyable canoe/kayak trip please call the office to make arrangements.